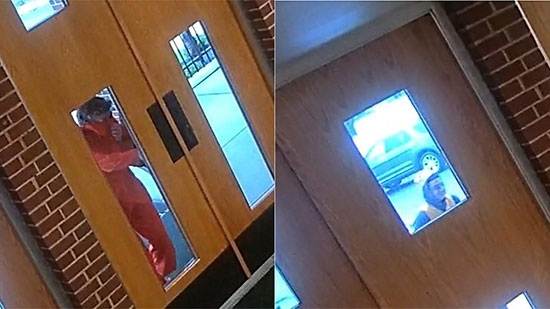 Police in Glassboro, New Jersey, are investigating an unusual event at a church over the weekend. The suspicious incident happened on Saturday, 10/27, at St. Bridget's Church on the 100 block of Church Street. Three college age men dressed in Halloween costumes approached the church. One of the men opened the front door and yelled "God isn’t real!" inside before all three ran off. Glassboro Police wrote in a statement on Facebook, "Due to the tragic events earlier today [Pittsburgh synagogue shoting], and out of an abundance of caution, we'd like to speak with the subjects involved." If you have any information regarding this incident or recognize the men in the photos, please contact Glassboro Police at 856-881-1500. A former Bucks County youth football coach who failed to show up to court last week on multiple child sexual assault charges was caught in Florida. 48-year-old Shannon Westmoreland did not show up to a hearing on October 22nd and a bench warrant was issued for his arrest. The U.S. Marshals Fugitive Task Force began an investigation and learned that he may have fled to Florida. On Monday, 10/29, at 5:30 p.m., Marshal Service investigators spotted Westmoreland operating a minivan on the 500 block of N. Atlantic Avenue in Daytona Beach. Deputies surrounded the vehicle and took him into custody without incident. He was taken to the Volusia County Jail to be processed and the Bucks County District Attorney’s Office was notified. Westmoreland was first arrested in June 2017. He is accused of assaulting three juveniles at different times between 1999 and 2015. A judge has postponed his decision on the latest attempt at appeal for convicted cop killer Mumia Abu-Jamal. The case was back in a courtroom at the Criminal Justice Center in Center City on Monday morning, 10/29. Abu-Jamal's lawyers want all previous appeals vacated. They argue that Pennsylvania Supreme Court Justice Ron Castille should have recused himself from the appeal process since he previously served as Philadelphia district attorney. Abu-Jamal is serving a life sentence for the 1981 murder of Philadelphia police officer Daniel Faulkner. His widow, Maureen, was also at the hearing. The judge did not set a date, but will make a ruling sometime in December.